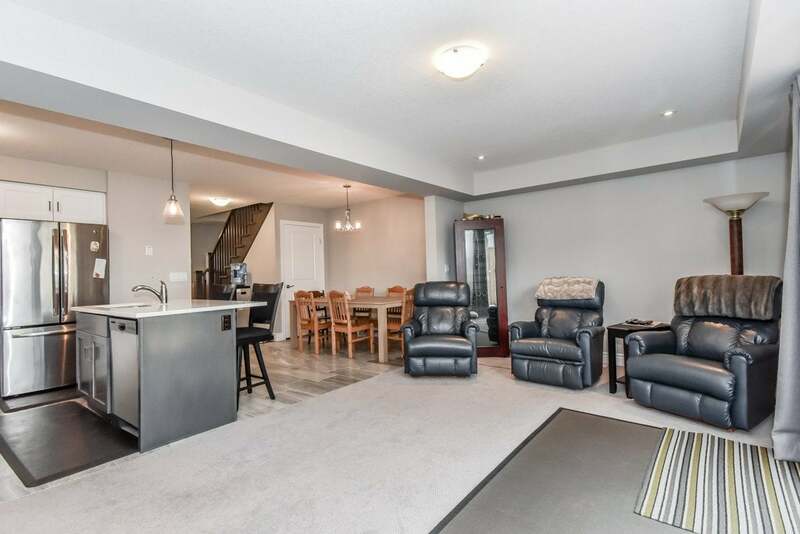 Beautiful, low maintenance Millpond townhome. 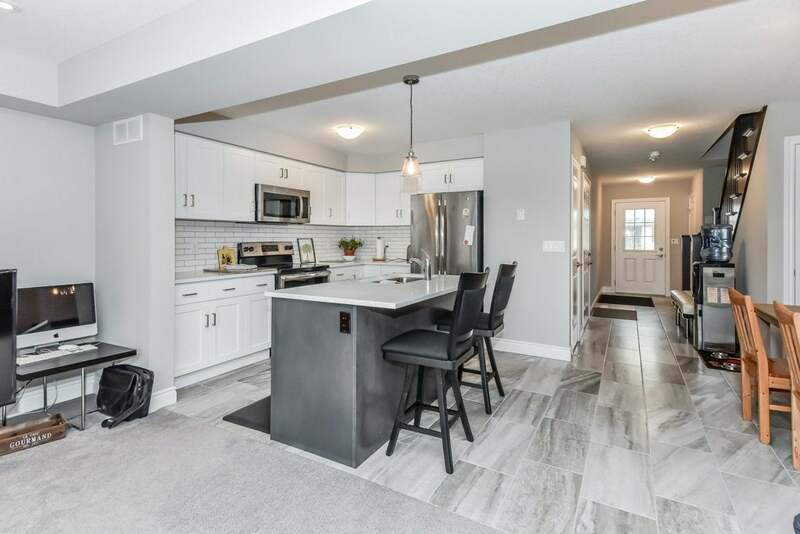 Boasting an open concept main floor featuring a kitchen with island with breakfast bar, granite countertops, stainless steel appliances, including over the range microwave and subway tile backsplash; dining area, powder room, and family room with sliding doors to a custom deck. 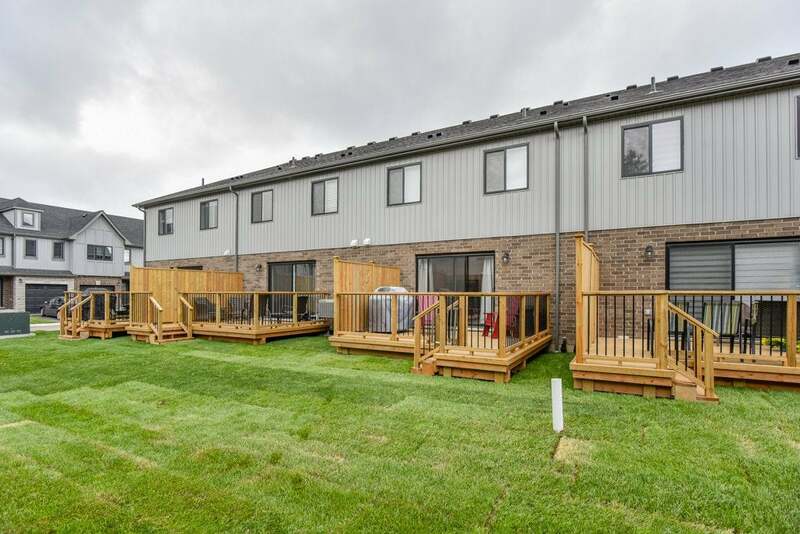 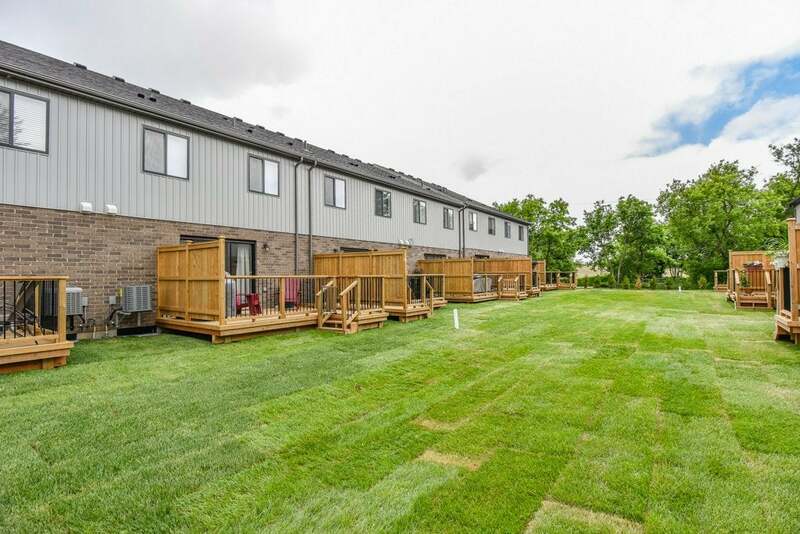 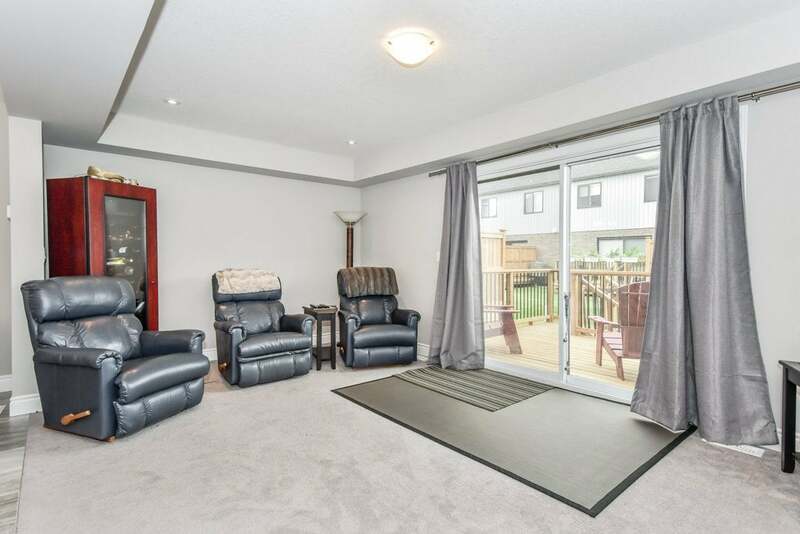 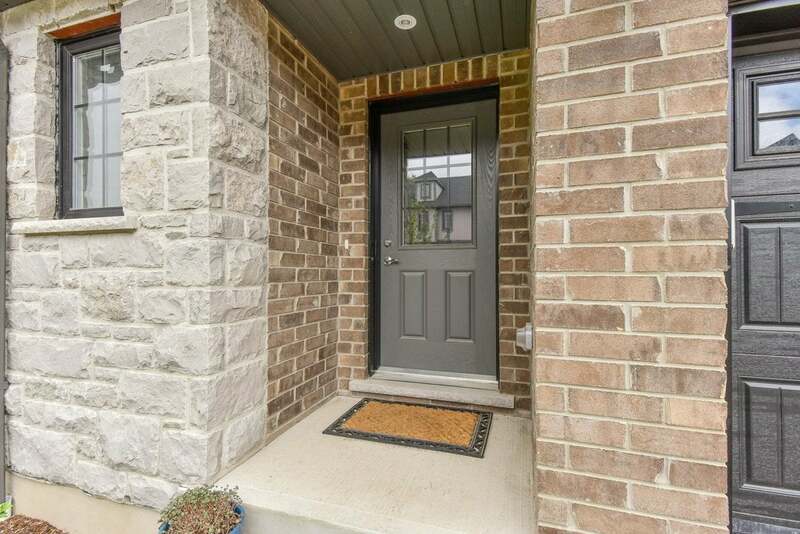 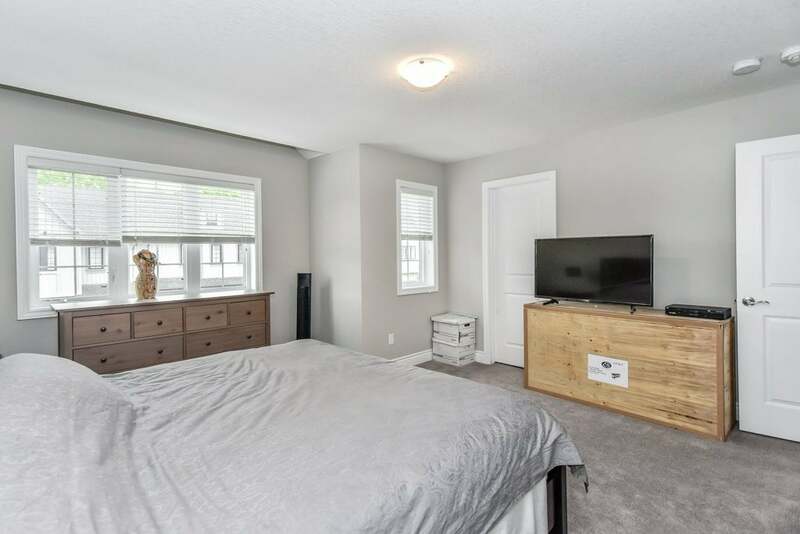 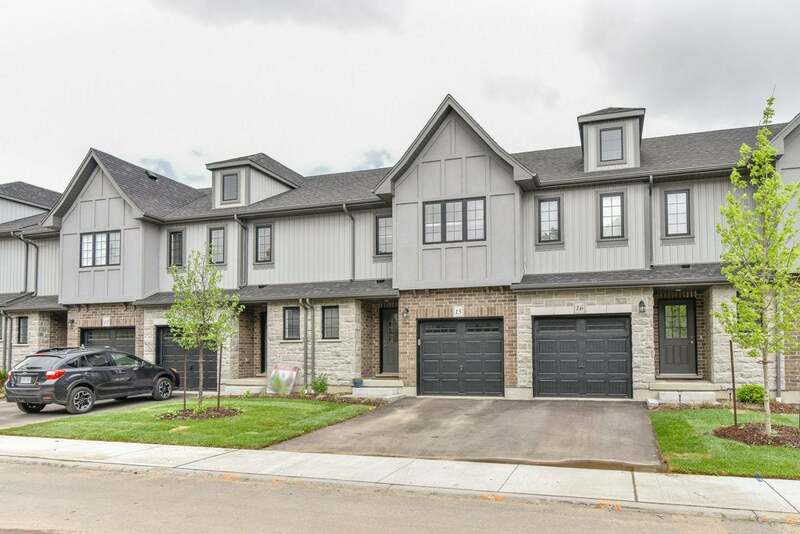 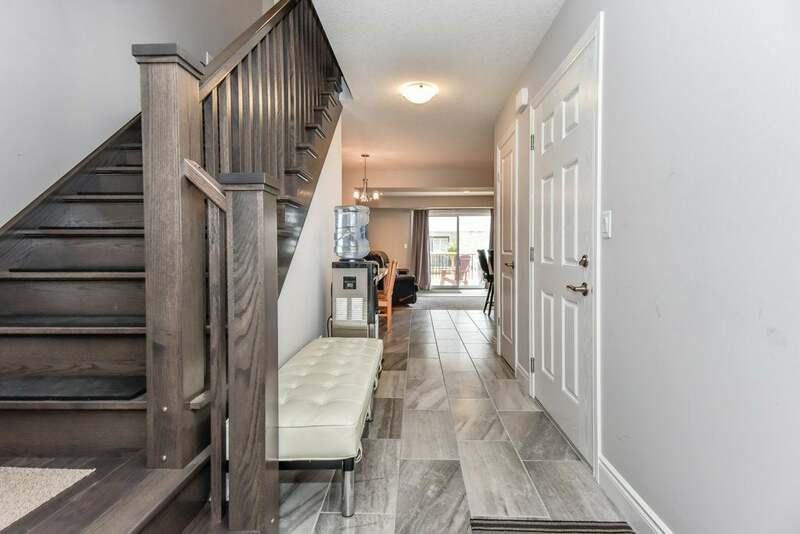 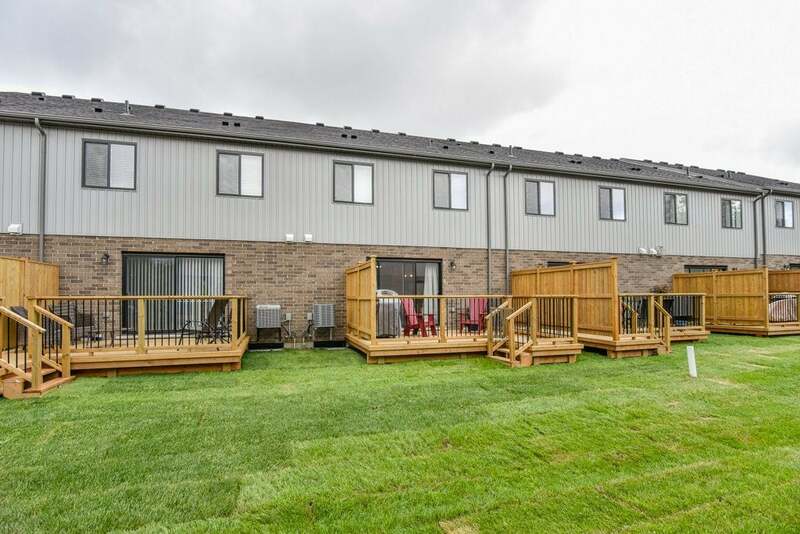 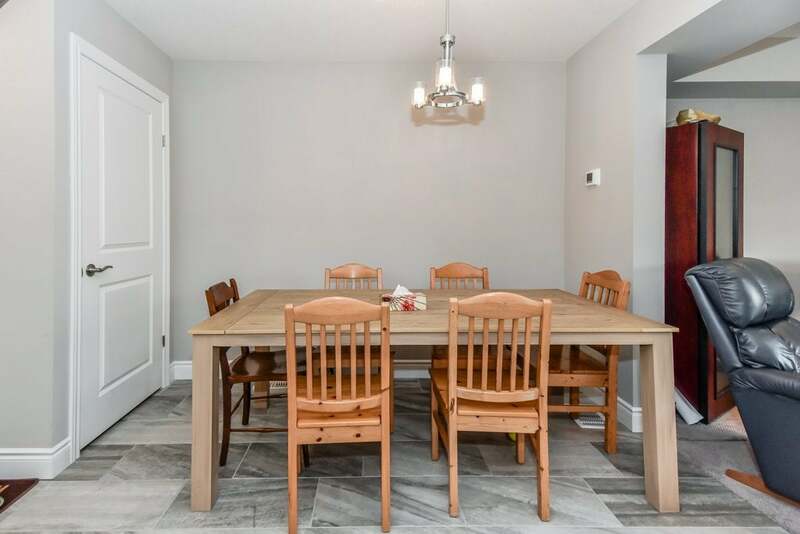 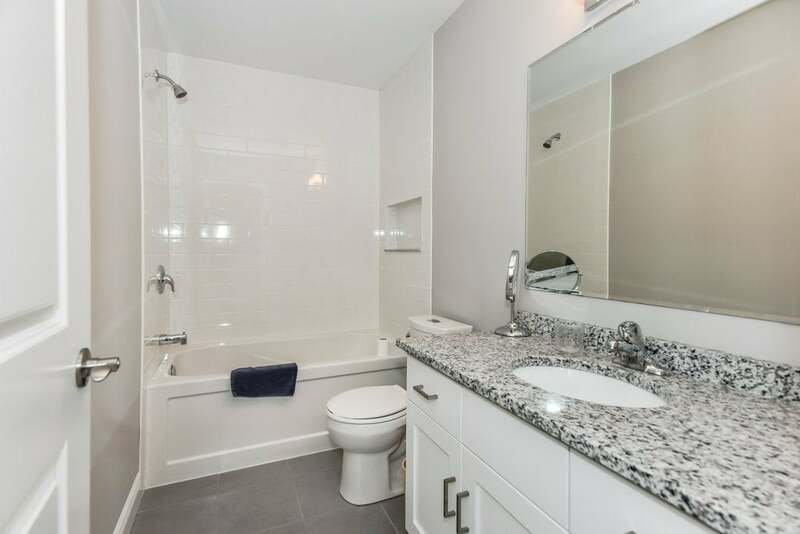 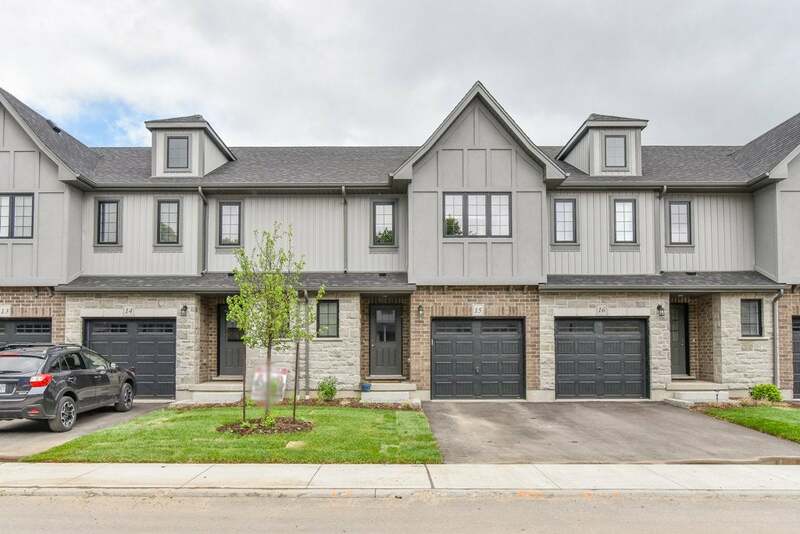 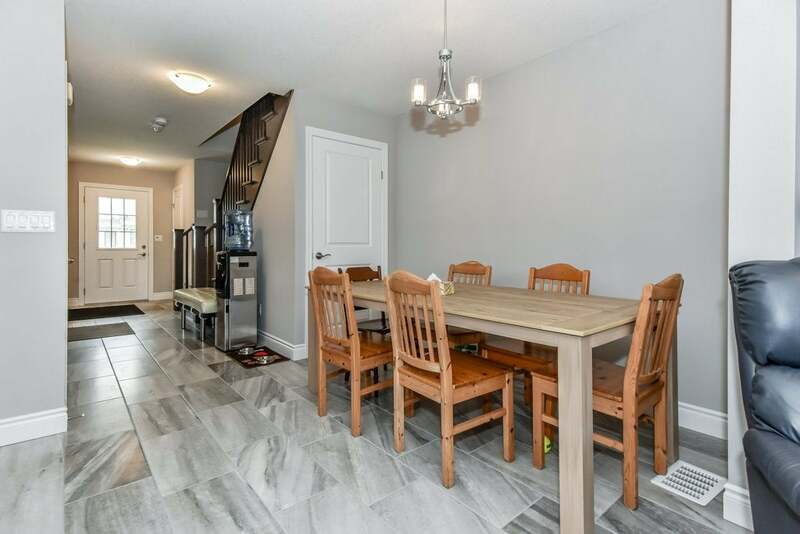 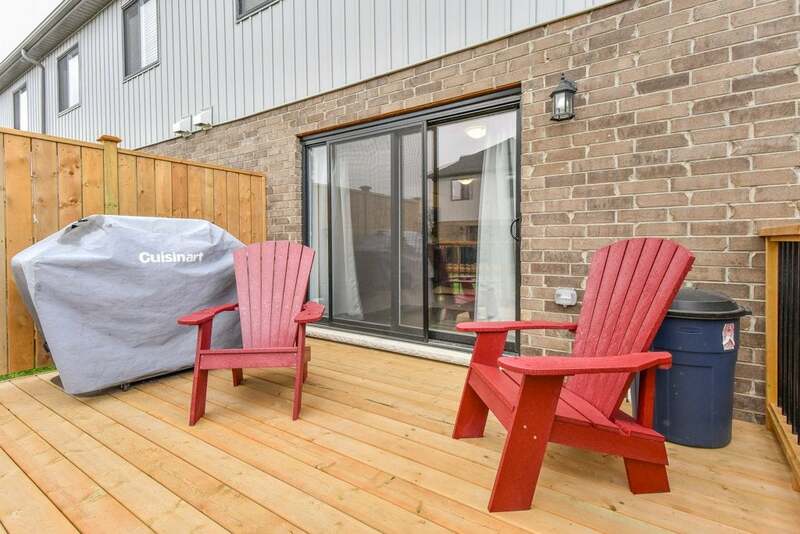 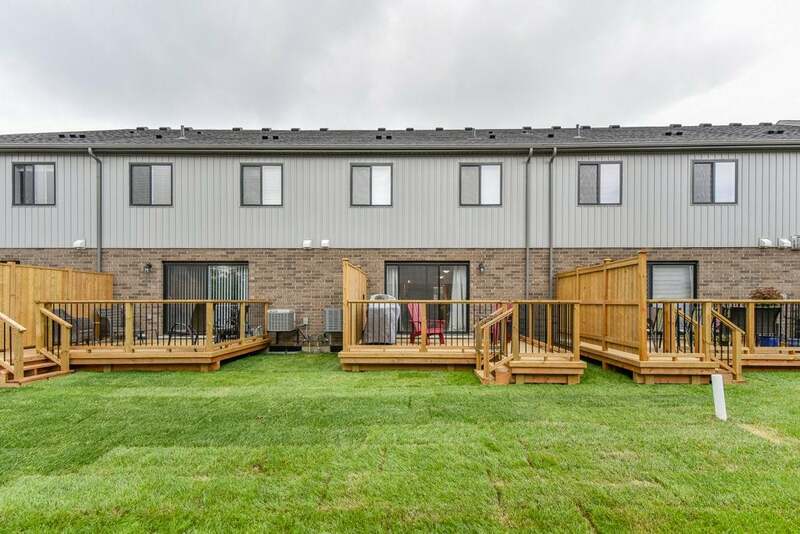 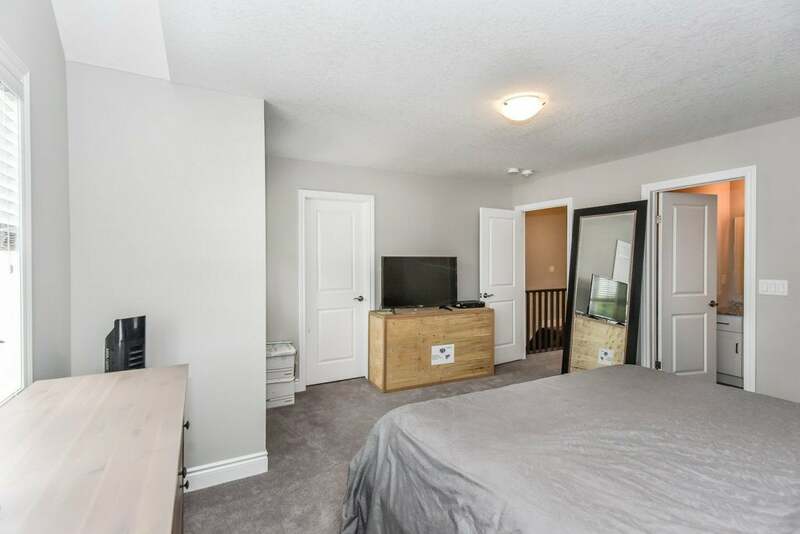 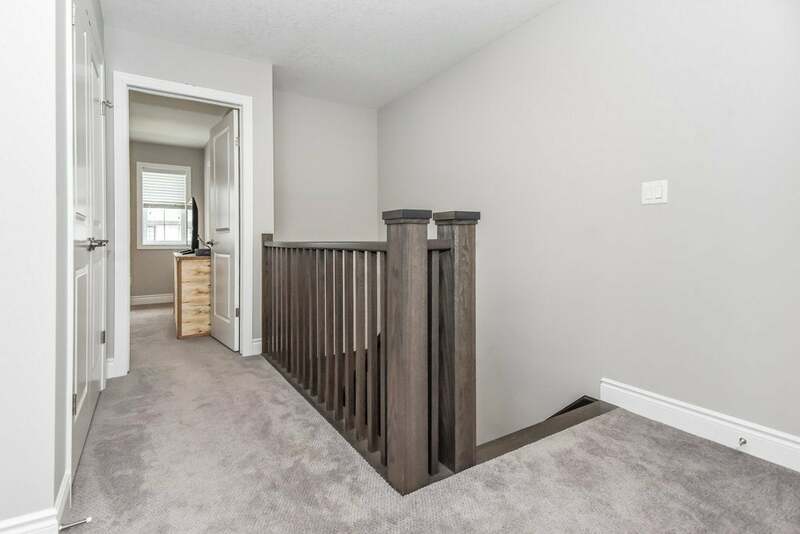 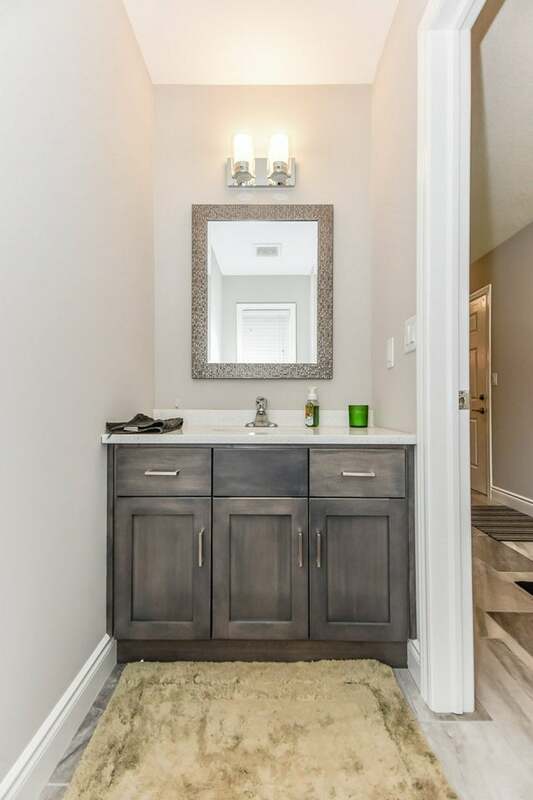 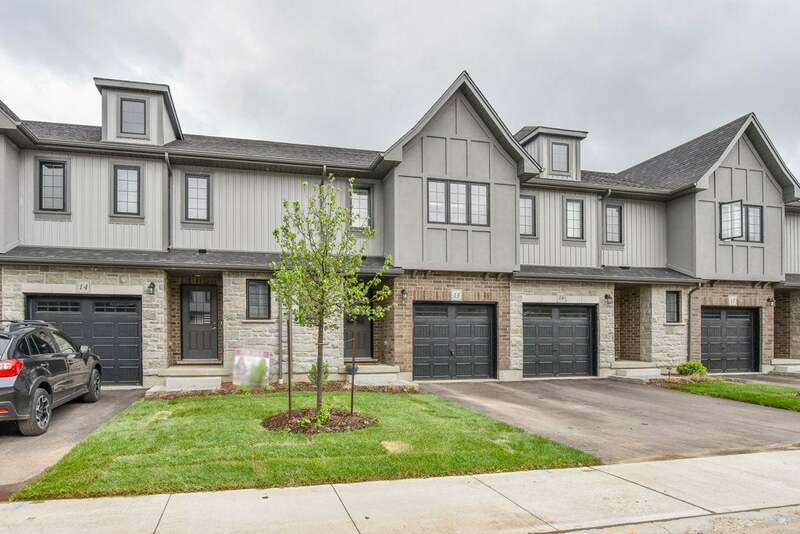 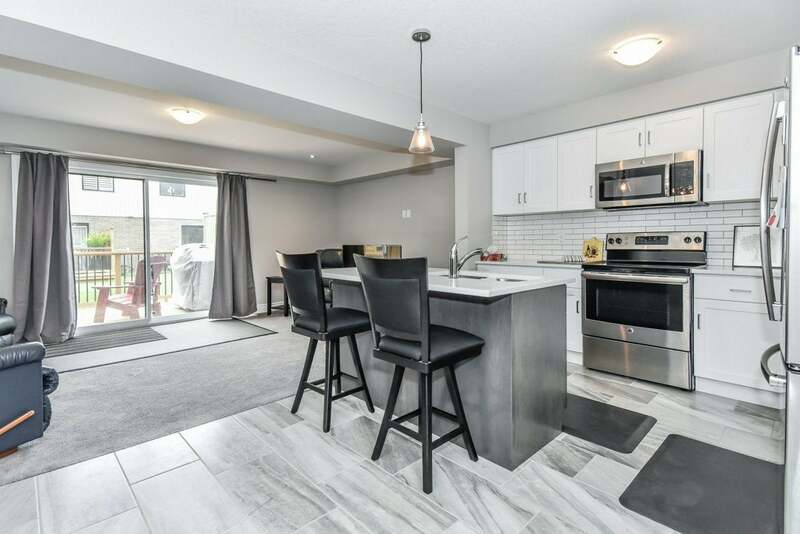 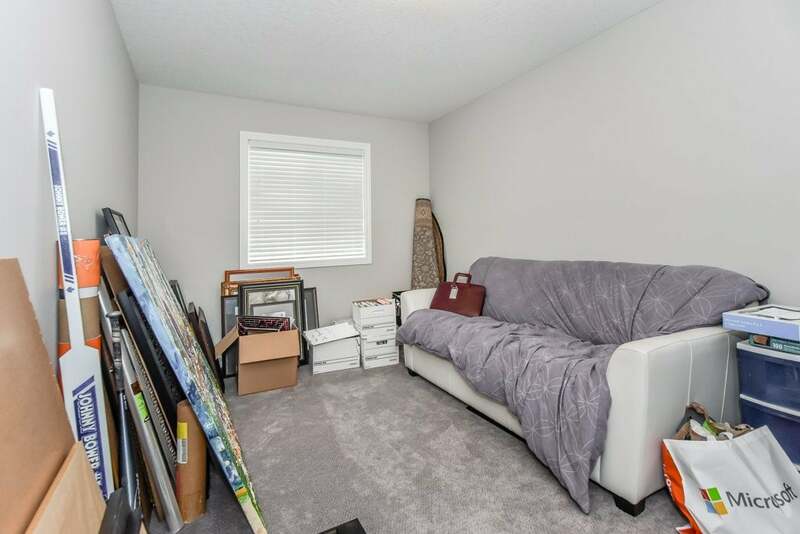 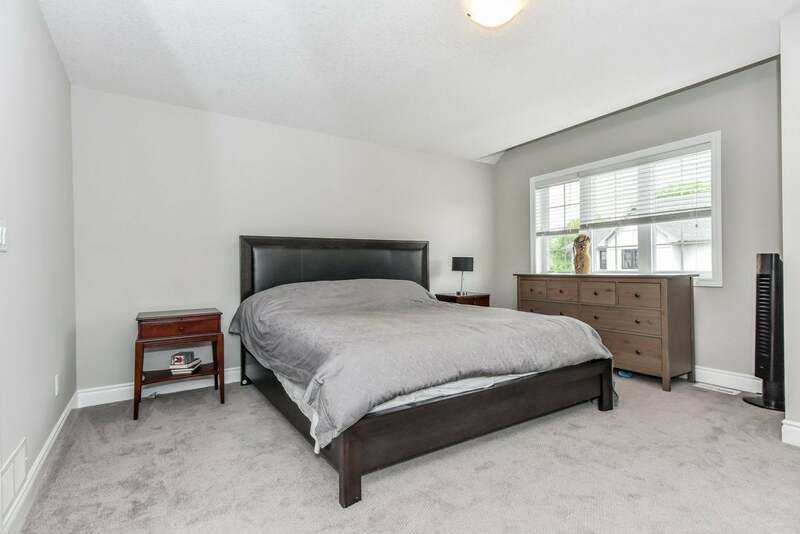 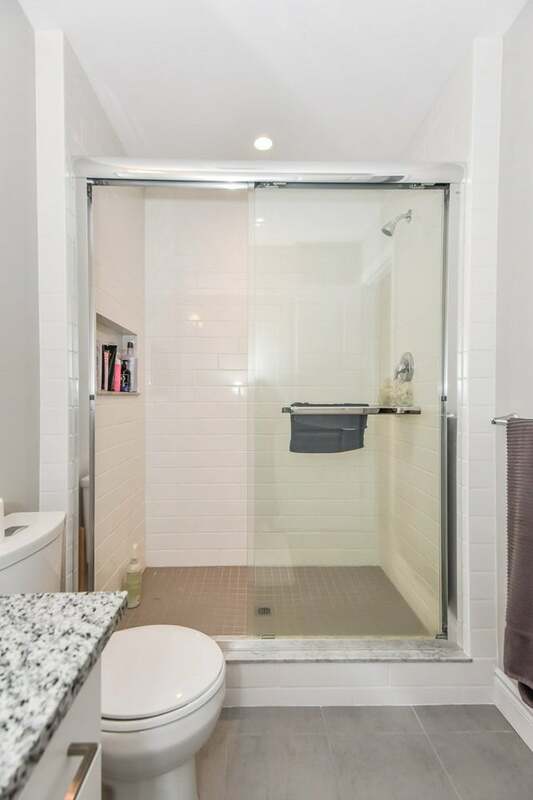 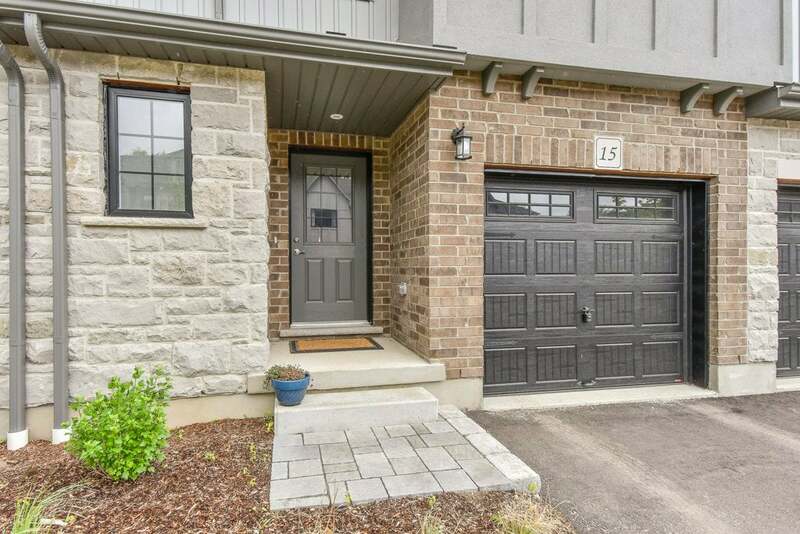 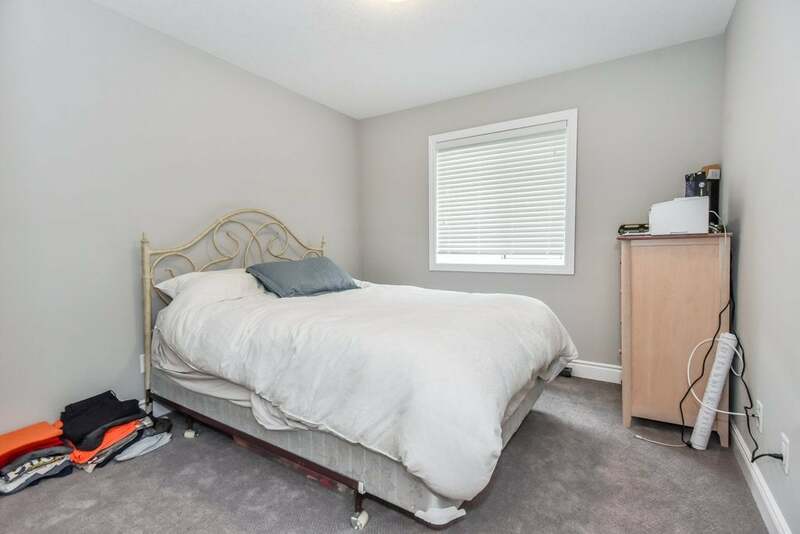 Hardwood stairs take you to the second floor where you'll find three spacious bedrooms - including the master with walk-in closet and three piece ensuite with upgraded glass shower - a four piece bath and laundry. 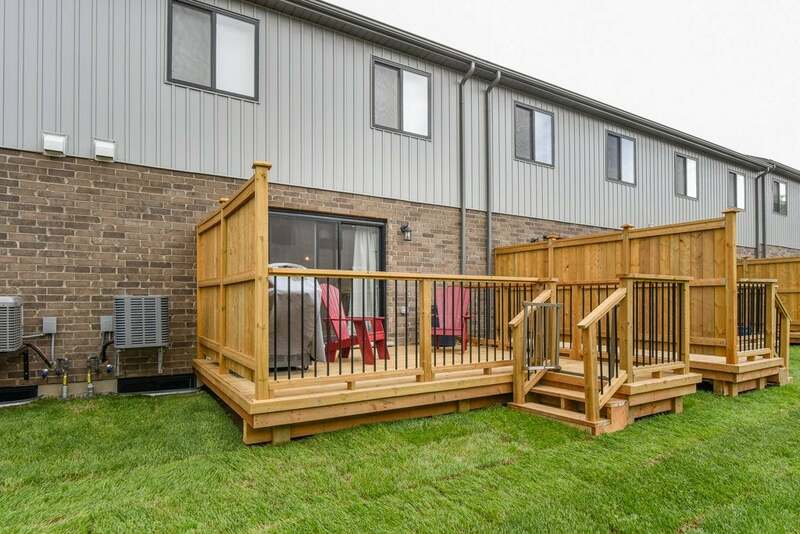 A deck with privacy fence is perfect for barbecuing or enjoying a morning coffee. 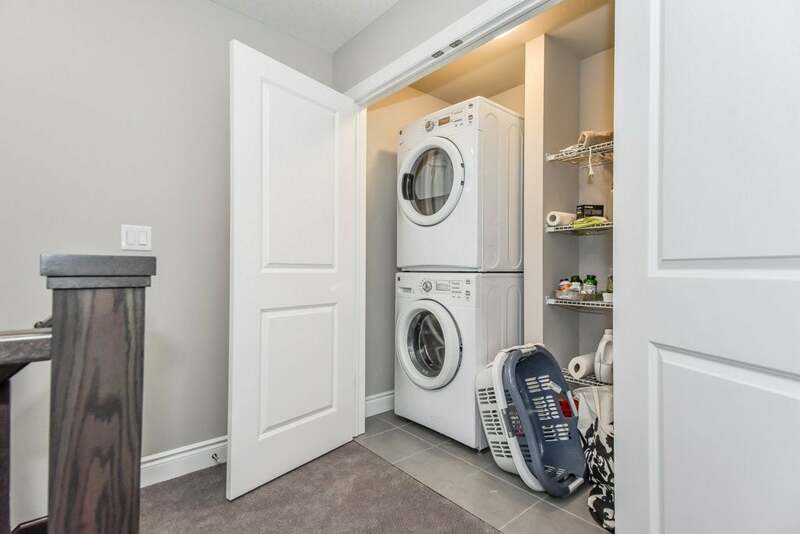 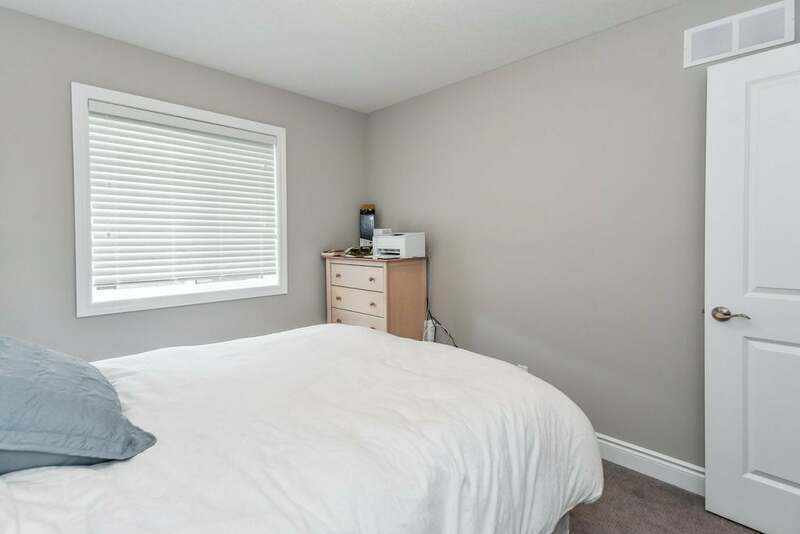 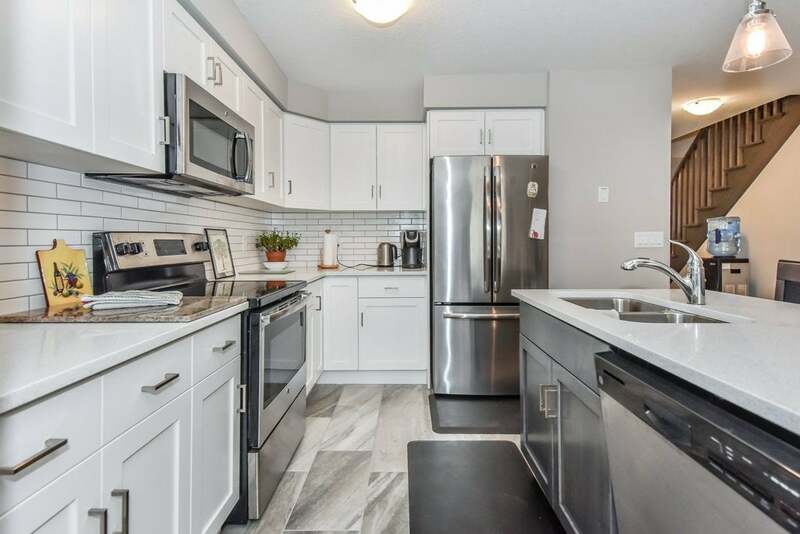 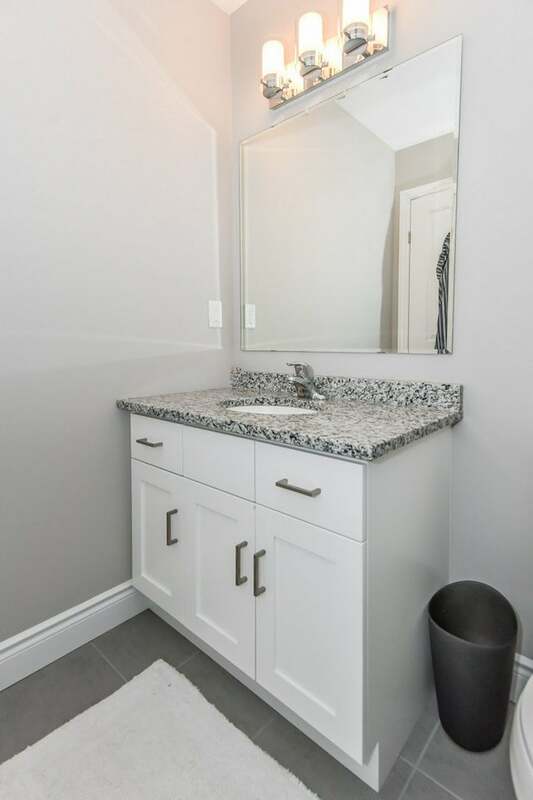 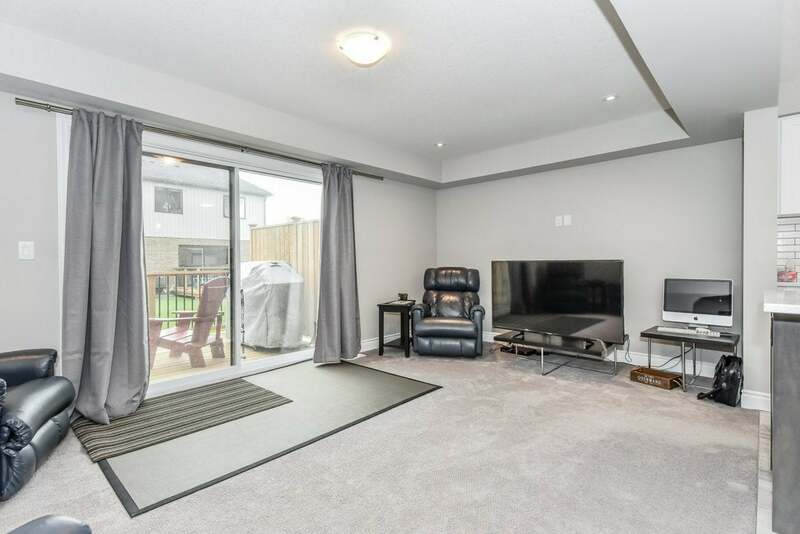 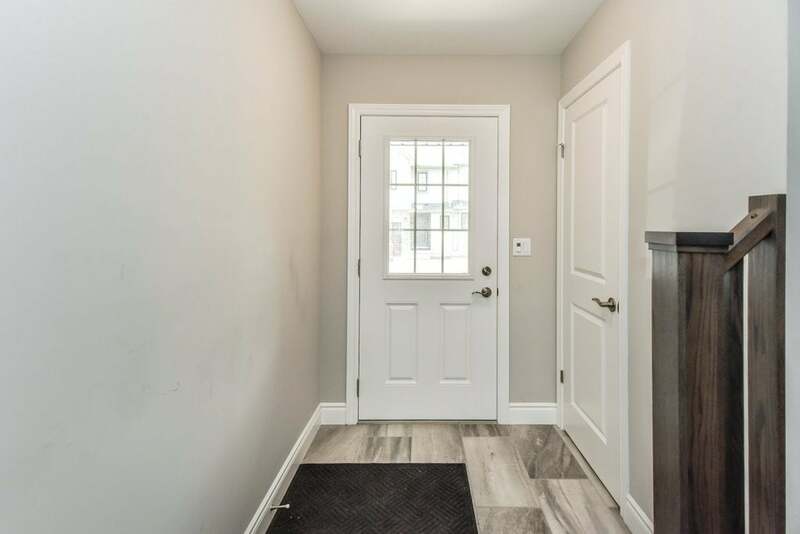 Additional features include: wide hallways, granite countertops in all the bathrooms, garage door opener, water softener, neutral and elegant palette. 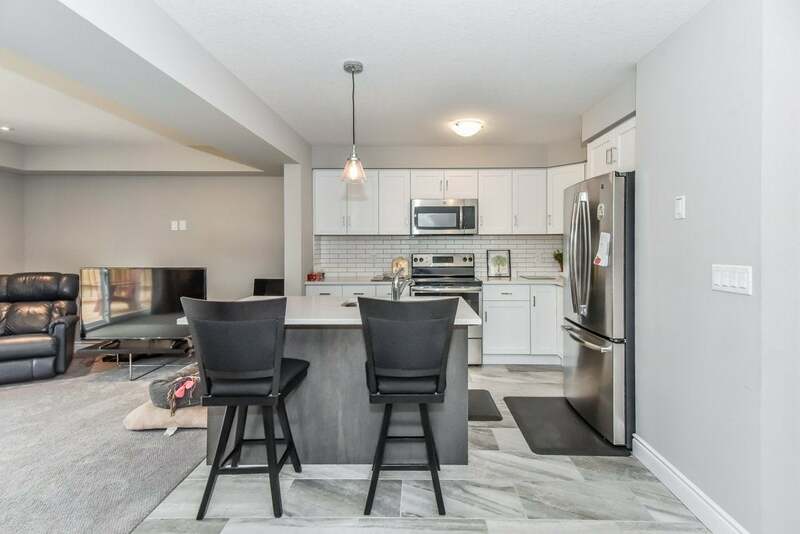 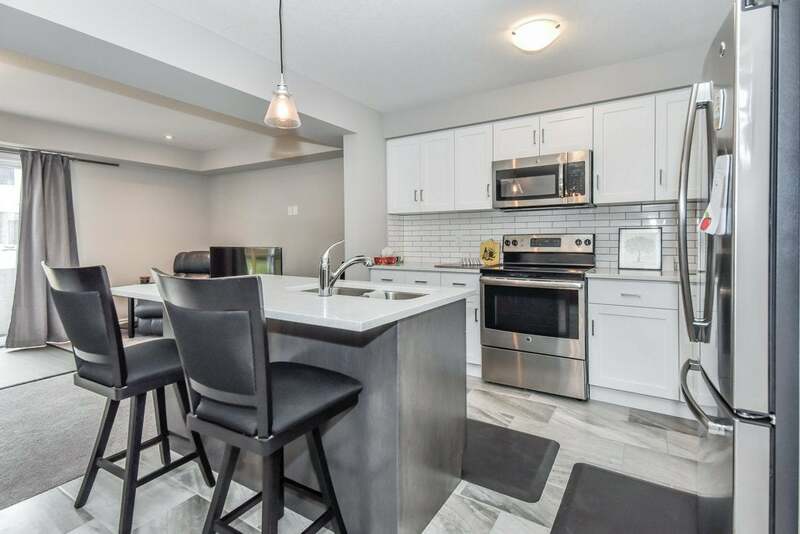 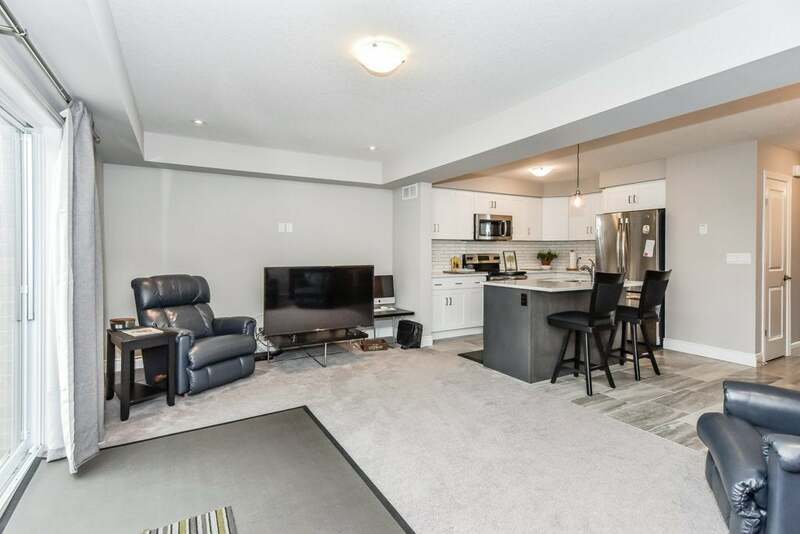 Ideal location for commuters and professionals looking for a low maintenance, modern lifestyle, close to amenities and just minutes to HW 401.